The 11th annual Ride for a Reason is set for Saturday, April 27, and it’s going to be record breaking! We have over 330 riders registered and more than $100,000 raised to support our 10 participating schools! If you are registered to ride, don’t miss the early packet pick-up event at Sports Basement in Berkeley on Thursday, April 25 from 5:30-7:30 PM (and get 20% off anything you purchase!). 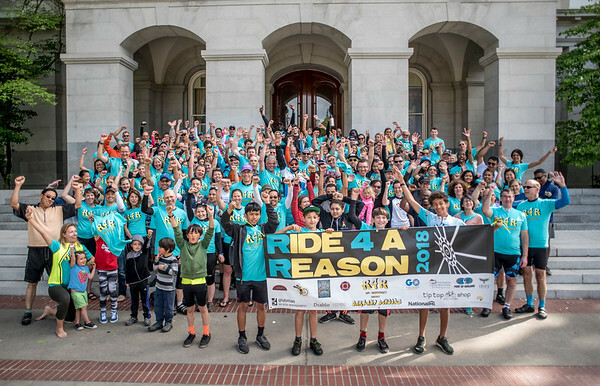 R4R is still looking for SAG drivers and handy bike mechanics to support our riders to Sacramento! If you know anyone, please invite them to be part of the R4R volunteer crew. Lunch, ride t-shirt, and gratitude provided! Volunteering link here. Even if you are not able to participate in the event this year, you can still support our efforts by sponsoring a rider. Please visit our fundraising page to sponsor a rider or make a general donation today!